Heart skipping a beat kind of a street corner! 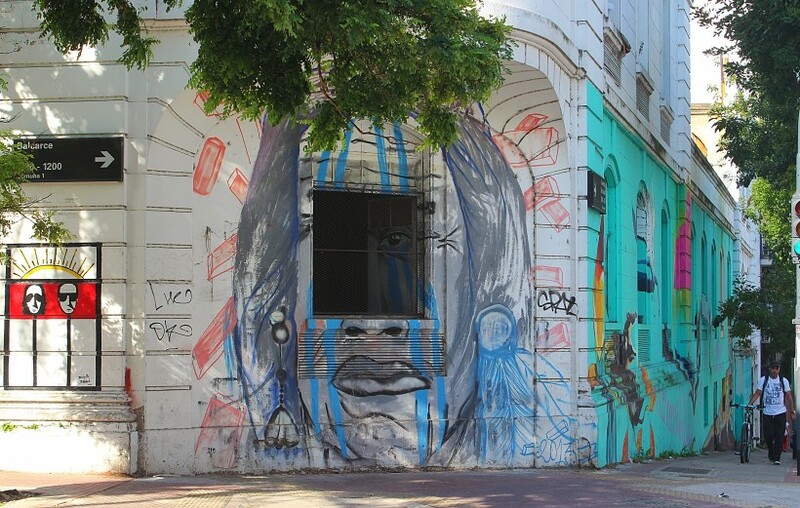 San Telmo, March 2015. 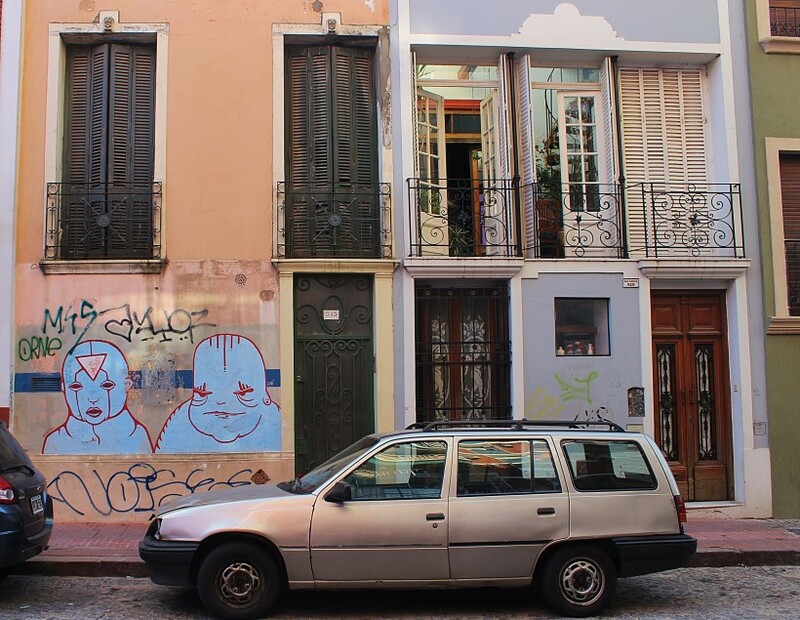 San Telmo is one of the oldest barrios of Buenos Aires, it’s full of charm and colonial architecture. 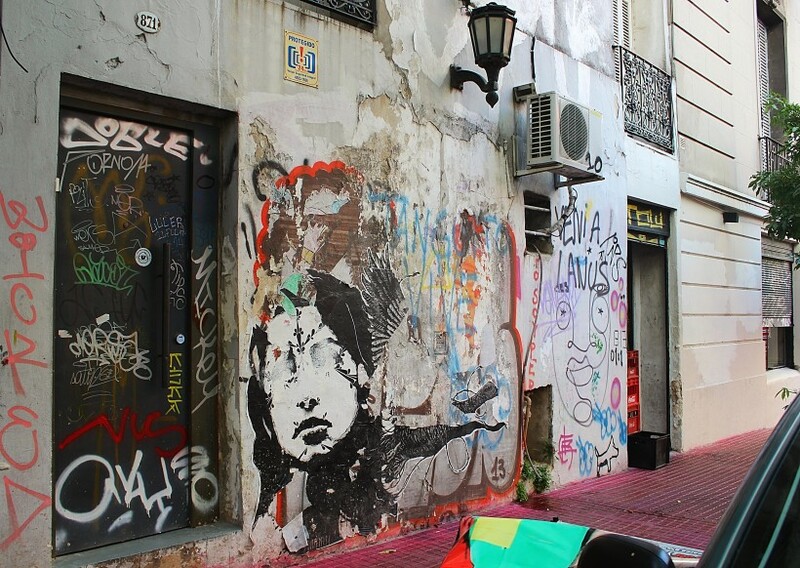 On Sundays there’s a street market with antiques and vintage stuff, the barrio fills up with people, music and they close of most streets for traffic, making room for one of the best types of public space take over, the street bars! 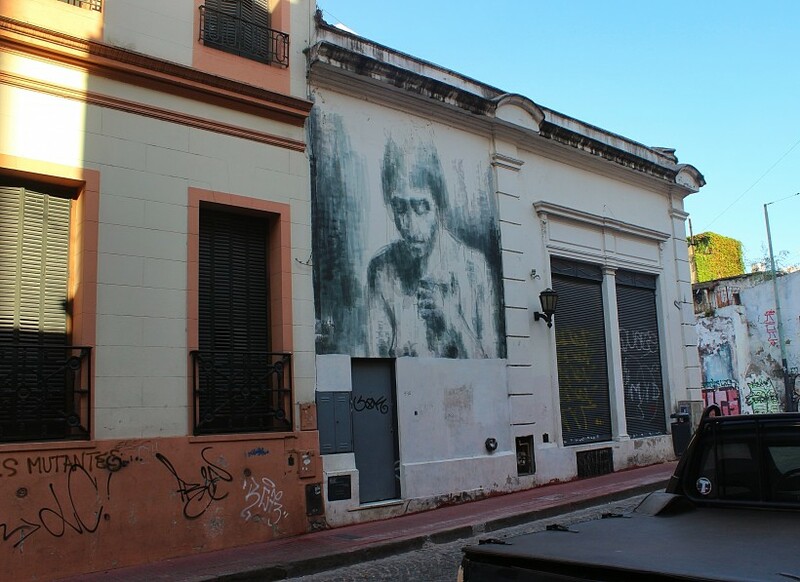 There’s nothing like daytime drinking on a warm and sunny Sunday… Of course the best time to visit San Telmo is also the best time to visit Buenos Aires. November and December are lovely spring months, with very little rain, March is late summer, and April is early fall. This is when the city is at it’s best! The trees and gardens are in bloom, the temperature is comfortable and the nights aren’t cold. The summer, January and February, are insufferable in Buenos Aires. It’s way too hot and since there’s no coastline in the city, there’s no way to refresh yourself with a cold swim, unless you’re staying somewhere with access to a pool! Regardless, one of my favorite things about Buenos Aires is the large quantity of tall trees along every street, this makes for a lovely green and shady city, any time of the year. A word that comes to mind here… WOWSA! March 2015. 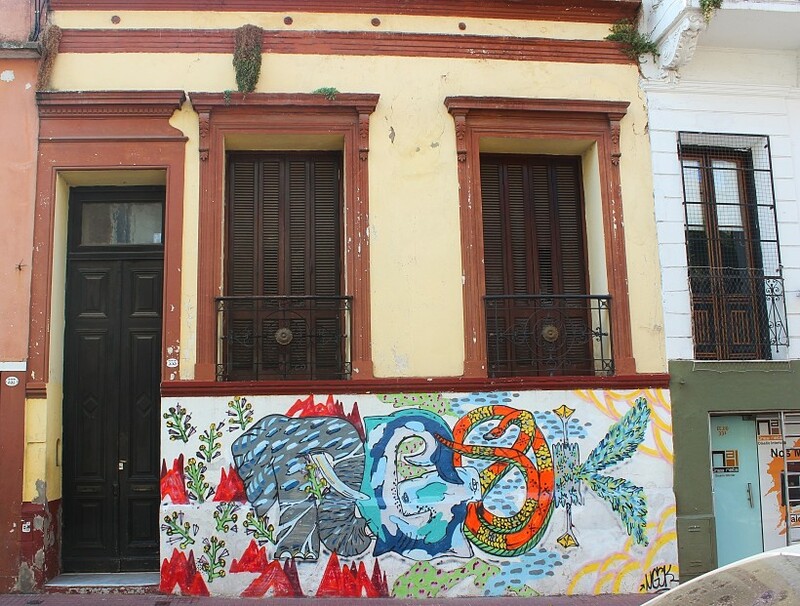 Take a break at the gorgeous Patio Ezeisa on Calle Defensa 1179. 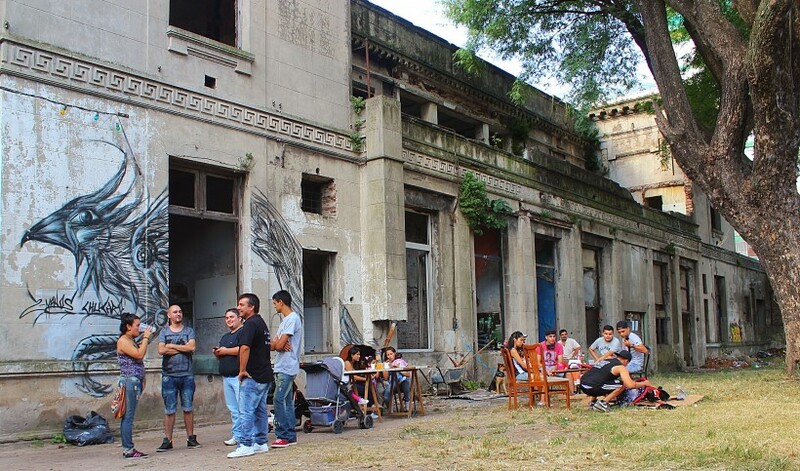 A café, bar and shop in a huge colonial house with an interior garden, it’s a beautiful way to glimpse inside a piece of history. Another beautiful bar is Bar Sur on Estados Unidos 299, corner with Balcarce, it has a very Parisian bistro feel to it, on a nice day I would sit outside and enjoy the people watching. 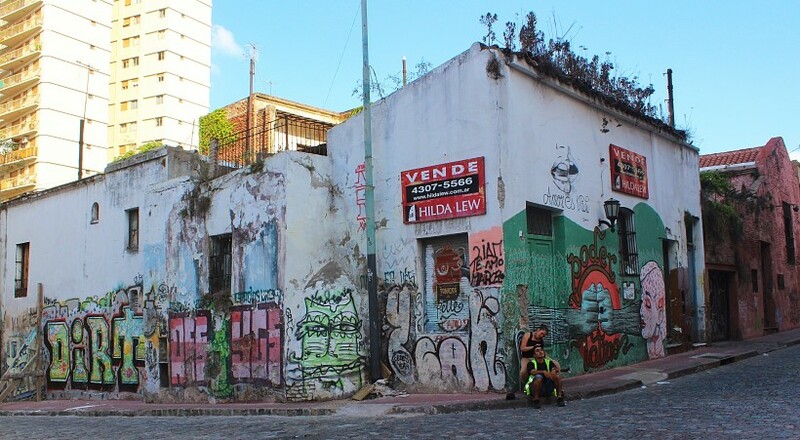 If you walk down Balcarce from here towards Calle Jose Modesto Giuffra you’ll find some more cozy spots, try Pride Cafe on the corner of Balcarce & Giuffra – friendly staff and beautiful outdoor seating! 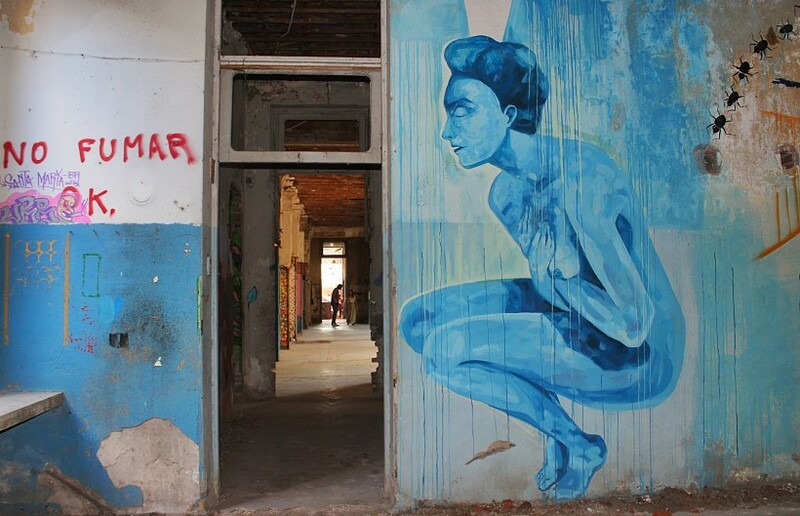 Hauntingly beautiful, San Telmo. March 2015. 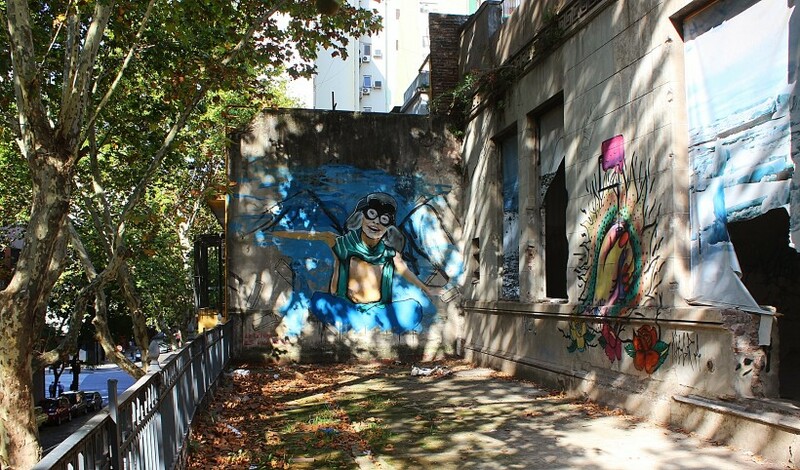 On the corner of Humberto Primo and Balcarce there’s a huge abandoned and now occupied colonial mansion. 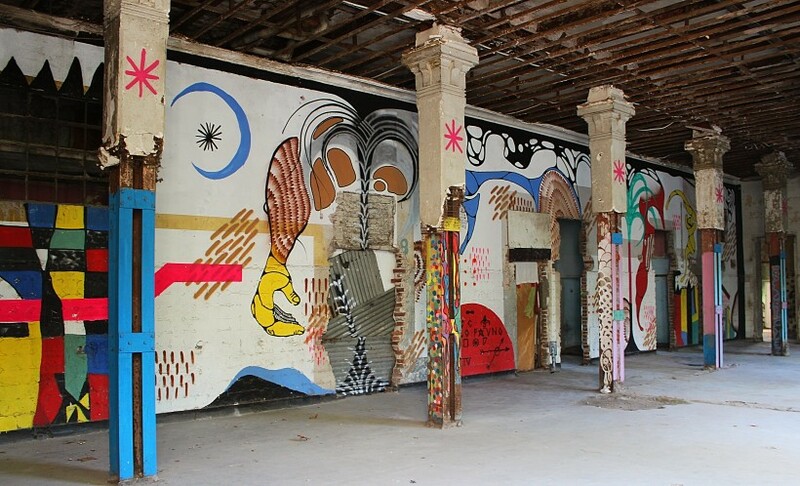 It’s a true public space take over, the main mansion now houses an amazing public art gallery, as you can see in the photos below. The small houses that are on the premisses are occupied by people, families that didn’t have homes, and now do. The plot of the mansion is used on the weekends to hold barbecues and musical recitals, open and free for all! A must see spot during the daytime, Saturday or Sunday. 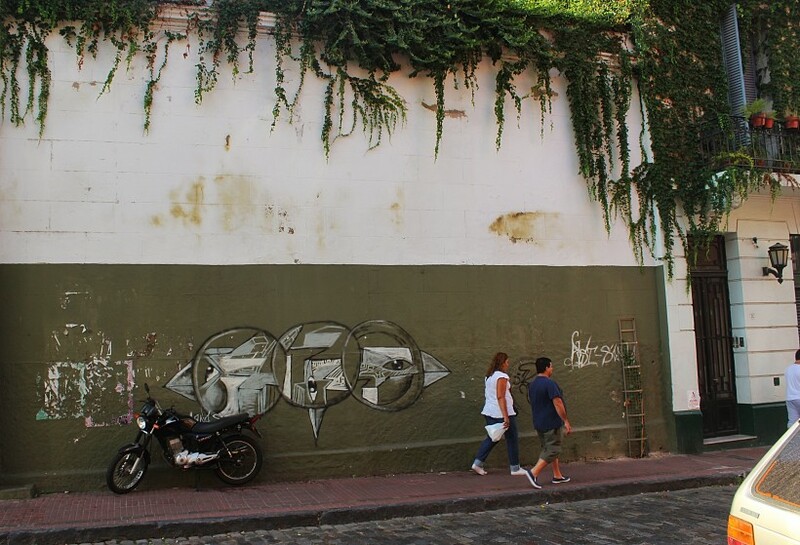 The Public space Take Over Gallery of San Telmo, on Balcarce & Humberto Primo. March 2015. 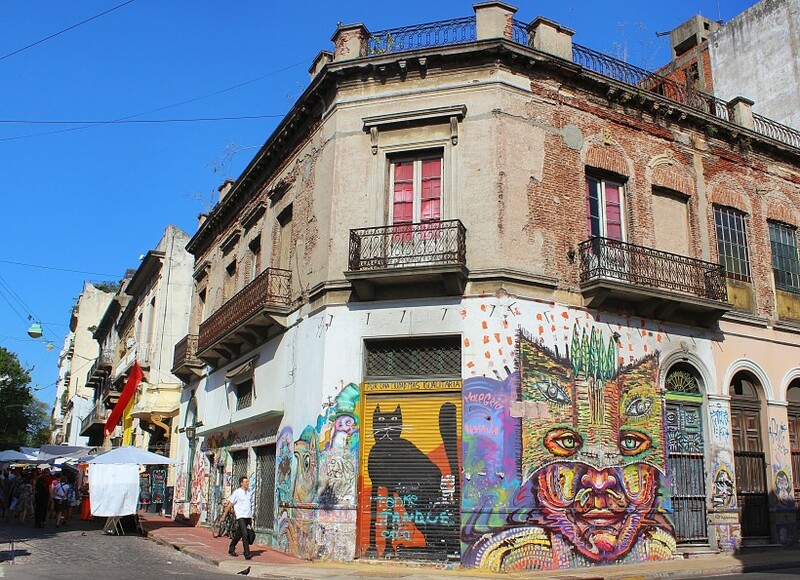 Gorgeous San Telmo! March 2015. Look up! 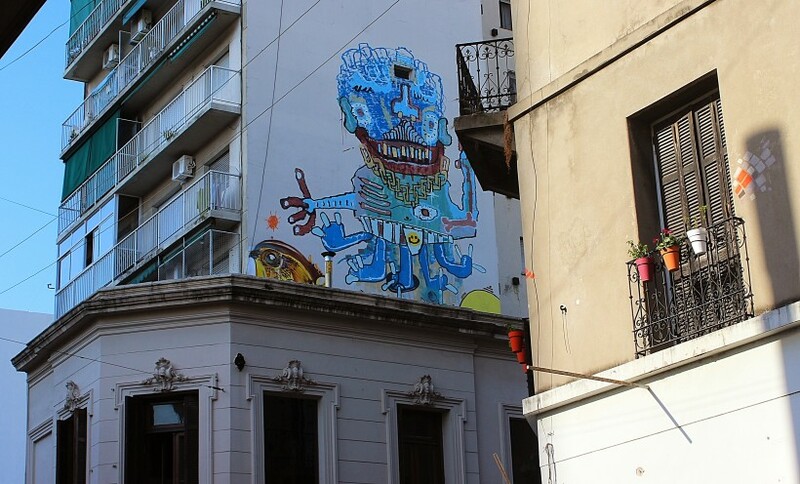 San Telmo, March 2015. Green and awesome! 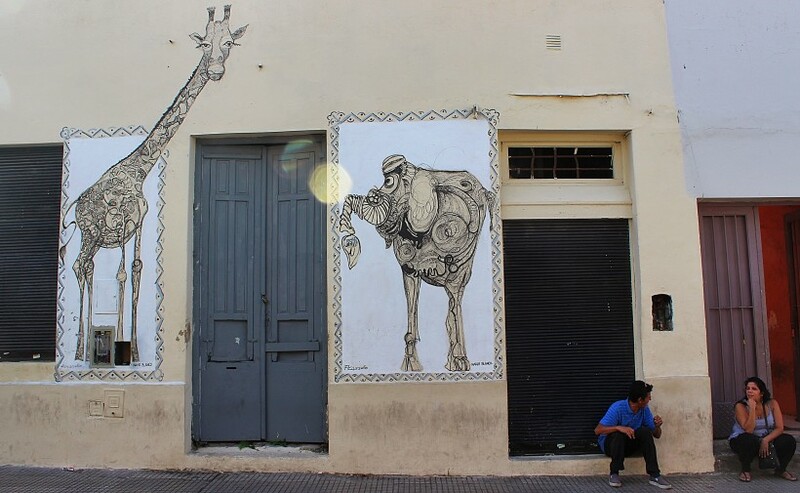 San Telmo, March 2015. 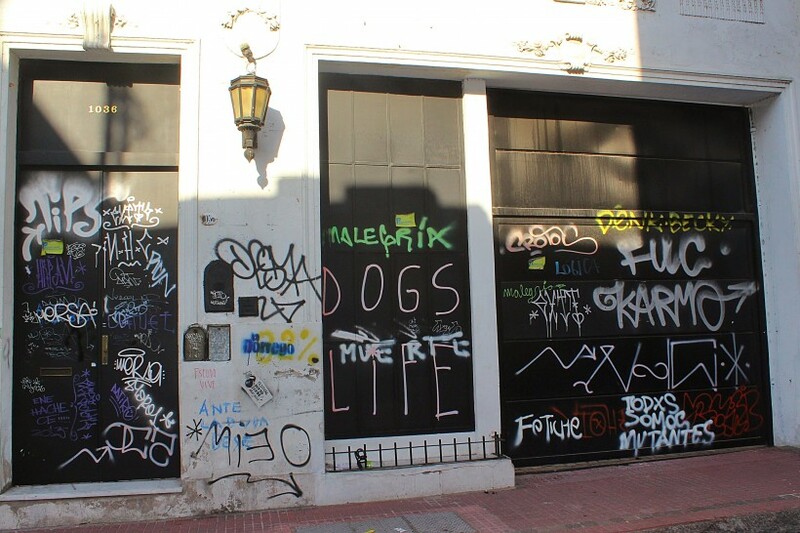 The San Telmo bombed doors! 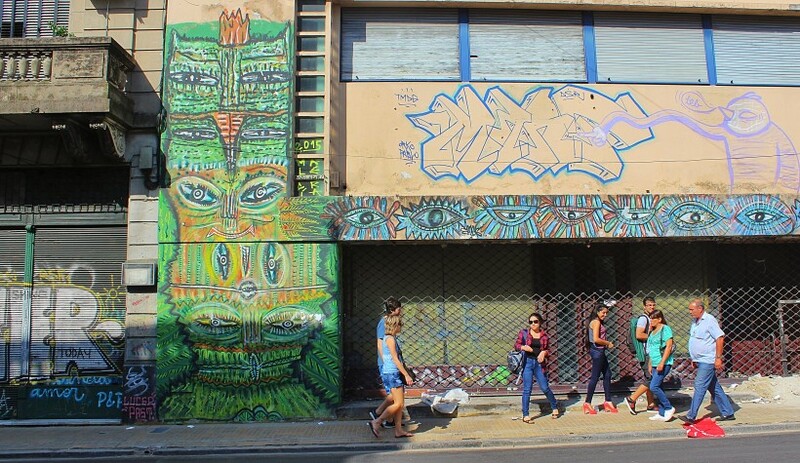 This entry was posted in Buenos Aires and tagged all you see is crime in the city, argentina, buenos aires, graffiti, public space take over, street art, tags, throws. Bookmark the permalink.